AD, Mercy Junior College, St. Louis, Mo. BS, University of Illinois, Chicago, Ill.
MA, University of Wisconsin-Whitewater, Whitewater, Wis.
MS(N), Marquette University, Milwaukee, Wis.
Phillips, L.J., Deorche, C., Rantz, M., Alexander, G.L., Skubic, M., Despins, L., Abbott, C., Harris, B.H., Galambos, C., & Koopman, R. (2016). Using embedded sensors in independent living to predict gait changes and falls. Western Journal of Nursing Research, published online, July 2016. Popejoy, L., Stetzer, F., Hicks, L., Rantz, M.J., Galambos, C., Popescu, M., Khalilia, M.A., & Marek, K. (2015). Comparing Aging in Place to home health care: impact of nurse care coordination on utilization and costs. Nursing Economics, 33(6), 306-313. Rantz, M.J., Lane, K.R., Phillips, L.J., Despins, L.A., Galambos, C., Alexander, G.L., Koopman, R.J., Skubic, M., & Miller, S.J. (2015). Enhanced RN care coordination with sensor technology: impact on length of stay and cost in Aging in Place housing. Nursing Outlook, 63, 650-655. * (Innovative Research on Aging Award, 2016, Seniors Housing and Care Journal). Rantz, M., Skubic, M., Popescu, M., Galambos, C., Koopman, R.J., Alexander, G.L., Phillips, L.J., Musterman, K., Back, J., & Miller, S.J. (2015). A new paradigm of technology enabled “vital signs” for early detection of health change for older adults. Gerontology, 61(3), 281-290. * PMCID: PMC4444511. Rantz, M.J., Skubic, M., Abbott, C., Galambos, C., Pak, Y., Ho, D.K., Stone, E.E., Rui, L., Back, J., & Miller, S.J. (2013). In-home fall risk assessment and detection sensor system. Journal of Gerontological Nursing, 39(7), 18-22. Rantz, M.J., Zwygart-Stauffacher, M., Flesner, M., Hicks, L., Mehr, D., Russell, T., & Minner, D. (2012). The influence of teams to sustain quality improvement in nursing homes that “need improvement”.. Journal of the American Medical Directors Association, 14(1), 48-52. Rantz, M.J., Skubic, M., Koopman, R.J., Alexander, G., Phillips, L., Musterman, K.I., Back, J.R., Aud, M.A., Galambos, C., Guevara, R.D., & Miller, S.J. (2012). Automated technology to speed recognition of signs of illness in older adults.Journal of Gerontological Nursing, 38(4), 18-23. Marek, K.D., Stetzer, F., Adams, S.J., Popejoy, L., & Rantz, M.J. (2012). Aging in Place versus nursing home care: comparison of costs to Medicare and Medicaid. Research in Gerontological Nursing, 5(2), 123-129. Skubic, M., Rantz, M., Miller, S., Guevara, R.D., Koopman, R., Alexander, G., & Phillips, L. (2012). Non-wearable in-home sensing for early detection of health changes. In R. Schultz (Ed.) Quality of Life Technology for the Disabled and Elderly (pp. 227-244). Boca Raton, FL: CRC Press. Marilyn Rantz is a Curators’ Professor Emerita of Nursing who has been affiliated with the MU Sinclair School of Nursing (MUSSON) since 1992. She held the named position of University Hospital Professor of Nursing, has an appointment as Curators’ Professor Emerita in the Department of Family and Community Medicine in the MU School of Medicine, was designated as a Helen E. Nahm Chair with the School of Nursing in 2008-2015, and was awarded the prestigious University of Missouri Curators’ Professor title in 2010. Dr. Rantz’s pioneering work in nursing home care quality spans 35 years, first in practice then as a leading researcher in the Midwest, and establishes her as a premier international expert in quality measurement in nursing homes and research programs to improve quality of care of older people. In late 2012, she secured a $14.8 million grant from the Centers for Medicare and Medicaid Services (CMS) for their Initiative to Reduce Avoidable Hospitalizations among Nursing Facility Residents; the largest ever received across the entire University of Missouri-Columbia campus. Phase 2 of this Initiative, for $19.8 million, was awarded in March 2016 for her team to complete the work in the Phase 1 nursing homes and then begin testing a new payment model for management of acute conditions within the facility with the help of APRNs. She has served as Principal Investigator on grants funded from the National Institutes of Health (NIH), the Agency for Healthcare Research and Quality (AHRQ), MO Department of Health and Senior Services (DHSS), the Administration of Aging (AOA), among other associations and foundations. In her prior role as Associate Director for the MU Interdisciplinary Center on Aging, she also served as Principal Investigator for “Building Interdisciplinary Geriatric Health Care Research Centers,” funded in 2007-2009 through the Hartford Foundation. Dr. Rantz and her interdisciplinary research teams have been funded for over $80 million to conduct research in long-term care, new delivery models of care for older adults, and most recently, for technology development to enhance aging in place of community-dwelling elders. Much of this research is conducted at TigerPlace, a model of independent housing to enable older people to age in place through the end of life, maximizing independence and function. A joint venture between the MUSSON and the Americare Corporation, Dr. Rantz was part of the MUSSON team who worked on the original design for TigerPlace and has served as the School’s Director for the facility since its inception. She is now mentoring her replacement for that role who will assume full responsibility upon tenure. TigerPlace provides both an independent living environment for the area’s seniors and an opportunity for students from a variety of professional areas to interact with older adults. At both local and national levels, Dr. Rantz’s profession contributions include election to the National Academy of Medicine (formerly Institute of Medicine) in 2012. In 2005, she received both the MUSSON Faculty Award for Excellence in Research and the National Gerontological Nursing Association Lifetime Achievement Award. 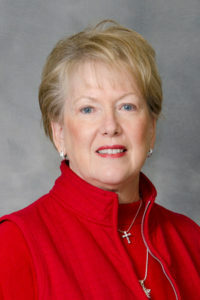 She was awarded the MU Alumni Association Faculty Alumni Award in 2006 for outstanding contributions to her profession, community and MU; was inducted as a Fellow into the Gerontological Society of America in 2007, and her Aging in Place Project won the American Academy of Nursing (AAN) Edge Runner Award in 2008. In 2010, she received the Midwest Nursing Research Society’s Distinguished Contribution to Research in the Midwest Award and was awarded the 2011 AAN Nurse Leader in Aging Award. November 2012, she became the only individual to be twice named as an Edge Runner for two different innovations, securing her second for her long-running Quality Improvement Program for MO (QIPMO) project. In April 2013, she received the UM System President’s Award for Economic Development, and in October 2014, she received the Distinguished Service Award from the University of Missouri’s Alumni Association. She was awarded the Curators’ Professor Emerita status in 2015. Lyons, V., Popejoy, L., Galambos, C., Khalilia, M., Popescu, M., Rantz, M., Hicks, L., & Stetzer, F., March 27-30, 2014, “Developing an Ontology of Care Coordination”, Midwest Nursing Research Society’s 38th Annual Research Conference, St. Louis, MO. Popejoy, L., Galambos, C., Khalilia, M., Popescu, M., Lyons, V., Rantz, M., Hicks, L., & Stetzer, F., March 27-30, 2014, “Going Beyond Standardized Nursing Language to Describe Nurse Care Coordination Activities”, Midwest Nursing Research Society’s 38th Annual Research Conference, St. Louis, MO. Starr, J., Galambos, C., Rantz, M., Petroski, G., & Flesner, M., March 27-30, 2014, “Advanced Directives Documentation in Nine Midwest Nursing Homes”, Midwest Nursing Research Society’s 38th Annual Research Conference, St. Louis, MO. Rantz, M., Alexander, G., Galambos, C., Vogelsmeier, A., Popejoy, L., Flesner, M., & Lueckenotte, A., March 28, 2014, “Research Partnerships Across Gerontological Settings: Missouri Quality Initiative for Nursing Homes (MOQI)”, Midwest Nursing Research Society’s 38th Annual Research Conference, Gerontological Nursing Science Research Interest Group, St. Louis, MO.